The Library of Congress, New York Public Library, and the National Library of Ireland share their photo archives on Flickr? The Internet Movie Database (IMDB) provides a richer source of information about films than your library catalog (and that you can link to it in your MARC records)? "My engagement with the possibilities presented in Google This! is an example of how it could be beneficial for medical librarians. I saw possibilities for my own library in the case study examples and was able to follow the well-written descriptions of how to implement enhancements (e.g., creating a customized Google search box). Most importantly, in Ballard’s cheerful, collegial, and tenacious approach to figuring out how to make a new tool work for his patrons, I found a model for approaching any social media tool, whether familiar or new to me." 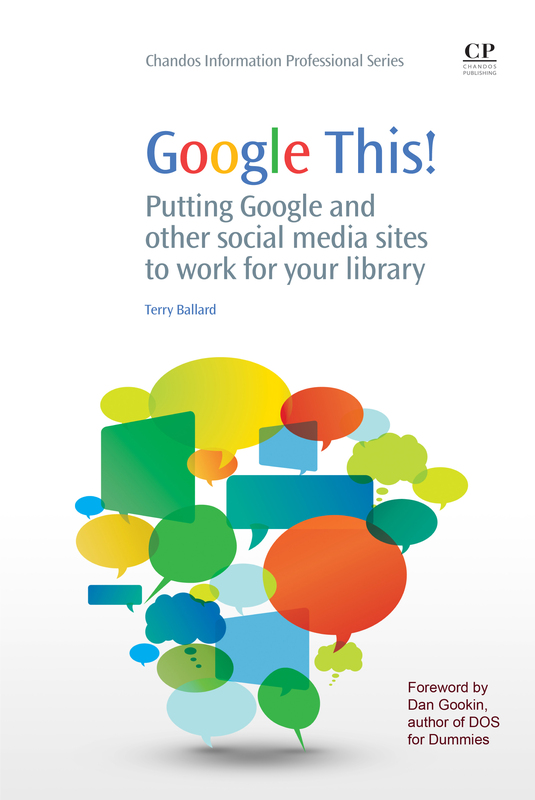 "Terry Ballard...takes readers on an inspirational social media ride in “Google this...At the end of the book Ballard writes, “We are in the midst of an information tsunami. Libraries can either embrace the best of the new tools, or resist and get swept away” (p. 178). This book will help bring you and your library fully into the social media age so that you can surf the tsunami wave and help your patrons and your library. A timely and well-written book, it is recommended for academic, public and special libraries." Melissa Aho, MA, MLIS, MS, Public Services Quarterly, Vol. 9, #2.